Every time when we step back and think this is it, one brand steps in and introduces a fabulous writing tool that sweeps us off our feet. And amongst all Lamy has been a successful name in the industry which has introduced a show stealer time after time. Likewise, the year 2016 is no exception for Lamy; this year for the early fall they have put forth an array of gorgeous writing tools. Maybe some of you are new to the world of Lamy, but if you take some time to dig into the brand's history you'll find out that they have introduced a range of durable, cost-effective, stylish writing implements for everyday use. 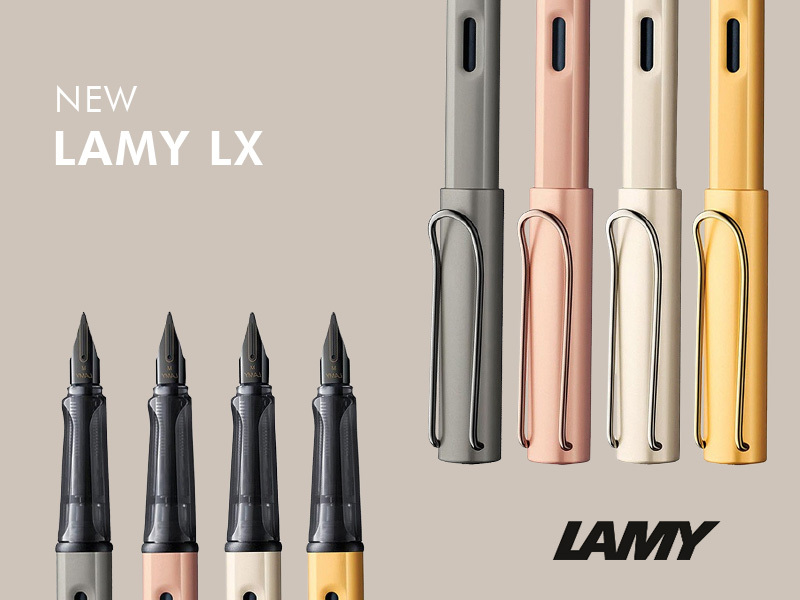 Needless-to-say, because of such top notch innovation and out-worldly ideas Lamy have established a distinct presence in the world of writing instruments. For your convenience, we have compiled a list of Lamy pens released in the end of summer. So before you invest your money on any of these writing instruments let's look into their features. At first glimpse, the new Lamy LX bears a close resemblance to the all time favorite Lamy Al-Star model. The pen is made in anodized aluminum and is available in four subtle colors (ruthenium, rose-gold, gold and palladium). The elegant body of the pen is accompanied by a snap cap with an iconic Lamy clip and a translucent plastic grip section. To exhilarate the joy of writing, the pen includes a sturdy steel nib designed with absolute precision. Though made of steel, the nib glides smoothly as gold-alloy nibs and will stand up to every writer's expectation. The iconic design of the new Lamy LX makes it a perfect companion to carry on-the-go. The pen comes with a compact case designed to reflect the persona of this wonderful series. At Pen Boutique, we are offering twenty percent arrival discount on the Lamy LX series. The pen originally retails for $70 but we are selling them for $56 only. Designed with grace, the new Scala Glacier is a new addition to Lamy's popular Scala line of writing instruments. 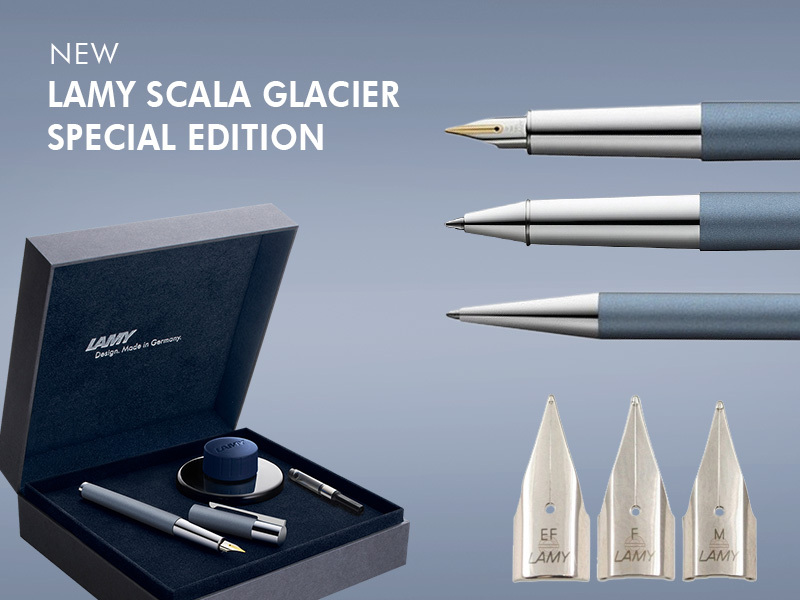 Like other Scala pens, the new Glacier edition also radiated perfection through its simple yet graceful design. It's Lamy's top-notch expertise, use of fine materials and their willingness to create a sophisticated product which has made the production of such writing instrument possible. Needless-to-say, the glacier series is a fine work of art and portrays the finesse craftsmanship of Lamy artisans. The Scala Glacier series is available in three different writing modes - rollerball, ballpoint, and fountain. All Glacier writing instruments flaunt a shimmering Icy-blue finish with gleaming stainless steel appointment. The fountain pen version features a sturdy stainless steel nib and will be available in three different nib options - extra-fine, fine, and medium. The ballpoint version features a twist-action mechanism and operates with a swift movement of the wrist. Lamy Stola pens have earned their reputation in terms of both durability and style, making the Glacier series no different. I personally recommend this pen because of its reasonable price and sophisticated design. Like other trusted pens from Lamy, this Glacier pens will also make an ideal companion for everyday writers. The new Lamy 2000 Black Amber Limited Edition is one of the most anticipated series from Lamy. 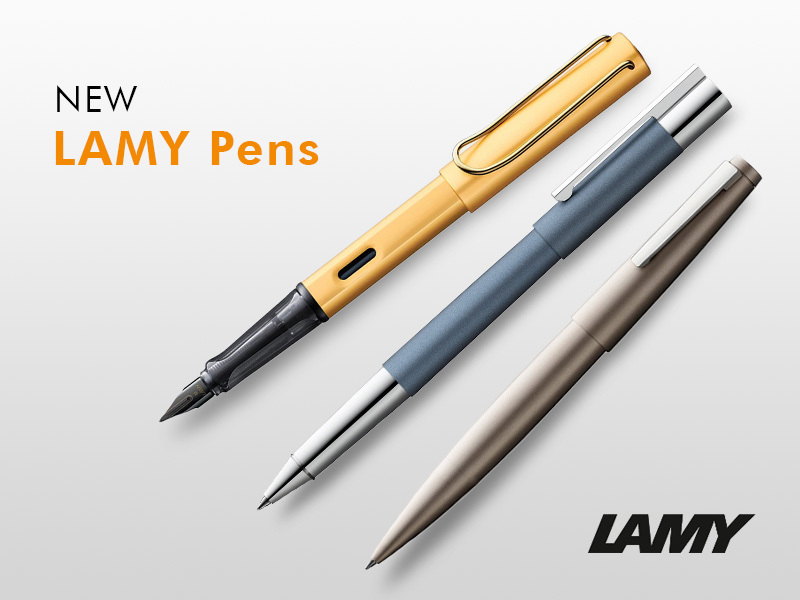 The series was originally designed to celebrate Lamy's 50 years mark in the pen industry. The Lamy 2000 Black Amber will be available in three different versions - ballpoint, rollerball, and fountain. Sleek, Stylish, Perfectly symmetrical the description about the new Lamy 2000 Black Amber Limited Edition can go on and on. The functionality of this unique writer lurks beneath its subtle appearance. The body of the pen is made from stainless steel with an astounding satin finish. All Lamy 2000 Black Amber pens are equipped with a sturdy spring-loaded clip that helps you to tuck the pen securely in your pocket. All these amazing features make the new Lamy 2000 Black Amber Limited Edition a great collectible for every pen enthusiast. Lamy 2000 Black Amber pens are presented in a beautiful gift box. 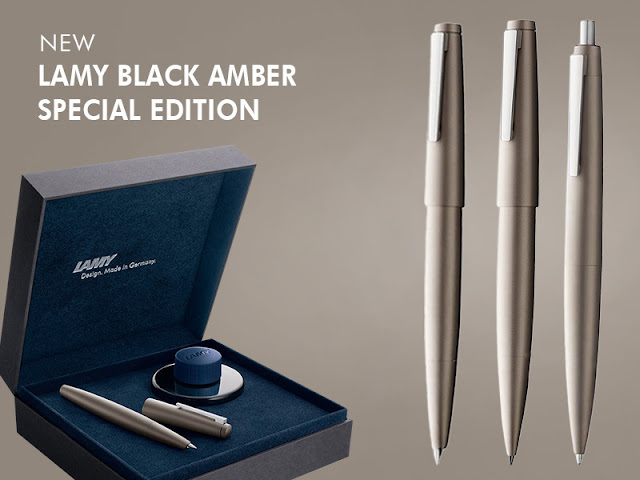 The fountain pen version comes with a 50ml bottle of Lamy Blue-Black ink. The pen is fitted with a rhodium plated gold nib and is available in a variety of nib option i.e. extra-small, small, medium and broad. On the counter side, the ballpoint version features an easy push-click button to extract and retract the tip. Till date, Lamy have introduced a wide range of flagship products and built an undisputed reputation in the pen industry. And, with the introduction of such intrigue products, they will definitely cross the mark and reach new heights in the days to come. But while buying a Lamy pen be cautious and keep an eye on authorized dealers especially while shopping online. At Pen Boutique, we sell 100% genuine products from Lamy. For more details on new arrivals please visit our website www.penboutique.com.